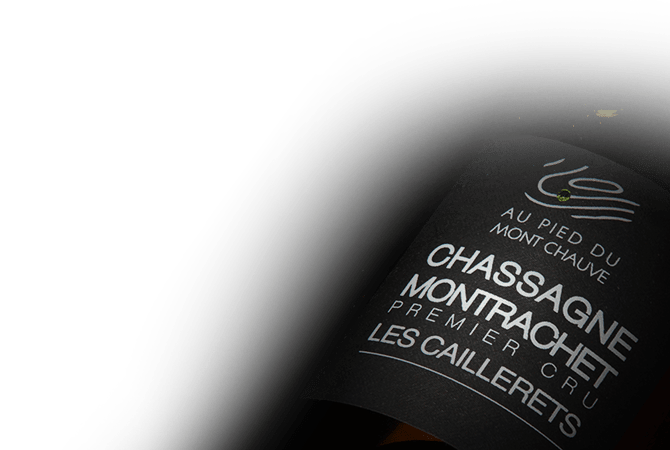 The Domaine Au Pied du Mont Chauve with its curious name is at the core of a lovely family history. Francine Picard, daughter from one of the biggest winemaking families in Burgundy, decided to return to the family business after gaining her own professional experience to take over the domaine, a position traditionally held by her father. For those who know Burgundy, Mont Chauve means Montrachet in the local dialect. Stendhal asked about Montrachet, "How can a little hill so ugly and so dry produce such great wines?" Ideally located, the Domaine Au Pied du Mont Chauve extends over Chassagne-Montrachet, Puligny-Montrachet and Saint-Aubin communes in the heart of the most beautiful climats and soils for Burgundy wine. Francine Picard strives to produce wines that reflect the identity of their terroir with passion, meticulousness and extreme care. With the soul of a winegrower, she gives constant care to the vines and remains true to the saying that great wines come from great grapes. In a desire for synergy between the land and the wines, Francine Picard cultivates her plots using biodynamic principles. From exceptional Chardonnay plots, including Les Chenevottes and Les Vergers, Domaine Au Pied du Mont Chauve wines have a depth and intensity that reflect the chalky and mineral characteristics of the finest limestone soils in the world. Wines like the Saint-Aubin 1er Cru from the Les Dents de Chien in Pitangerets and the Corton Grand Cru are a brilliant tribute to the iconic Pinot Noir variety. In an authentic style with an expressive and delicate structure, the vineyards of Domaine Au Pied du Mont Chauve are true jewels of precision. Perfect oak ageing gives a dense texture, but it is not overwhelming, so the wines keeps its freshness and elegance.